Plans for this major project started at the beginning of the year and the remodeling started shortly after. Once started, it only took two weeks to completely transform the weight room. Freshman Blake Fowkes said, “The weight room’s new equipment really does enhance the team’s abilities as it gives us a chance to start a powerlifting team. 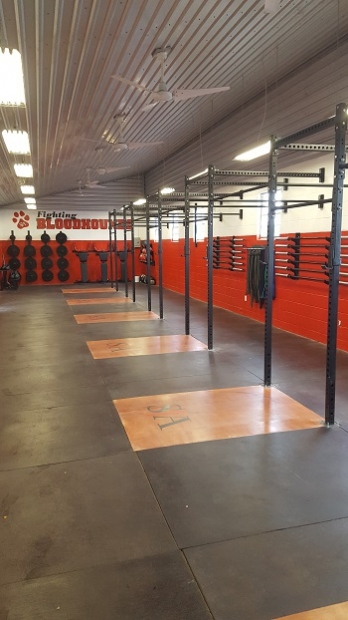 It is also special on how we are the first generation to use it.” The Bloodhounds won their first district championship in 37 years and is now able to compete in powerlifting. So far, the new weight room has proven to be effective, and hopefully for many more generations to come.